Ahhh, spring. 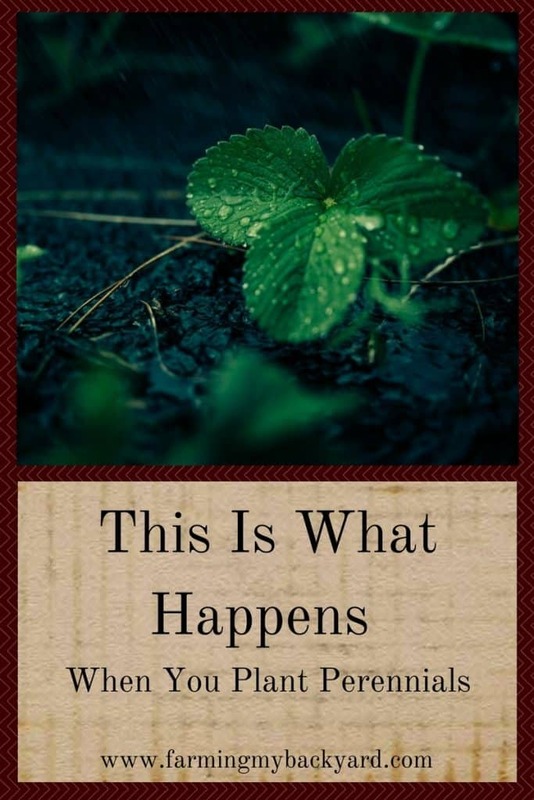 The sun comes out longer, rains encourage the grass and weeds to explode with growth, and gardeners everywhere jump into action to get the garden going. The pace can be almost a little frantic sometimes. Unless you have a plan for seed starting or a large budget for transplants, it’s not hard to blink and find that the optimal time to plant cool weather vegetables has passed already. What if instead of weeds sprouting up all over your garden, beautiful and useful plants started growing on their own? What if your spring weeding chores consisted mostly of transplanting a few plants into better locations, and pruning back the very enthusiastic plants? When you plant perennials the garden starts itself each year! Jump Start The Garden When You Plant Perennials! Strawberries stay evergreen in my yard. There are runners that settled in between my fence line and the sidewalk, which saves me tons of time on weeding every year. It’s also fun for my kids to take their neighbor friends over to look for berries in the summer. Nature will utilize every nook and cranny if you let her! Strawberries also make a great companion for asparagus as it keeps the weeds at bay. Strawberries are shallow rooting and asparagus have deeper roots, so they don’t compete for nutrients. Asparagus make a great spring perennial. Once you get them established they come back year after year and need only an addition of compost in the fall and a weed free bed to grow you delicious spears every spring. Planting Garlic is Easy! Here’s How To Do It. Planting perennial flowers helps make your garden beautiful without much work. Bulbs are especially good for this. I know it’s time for me to plant peas and carrots when I see the dandelions growing in my yard. The dandelions are some of the first beautiful things to burst into growth. We had bought our house in an October, and spend all winter trudging through the muddy swamp that was the front yard at the time. 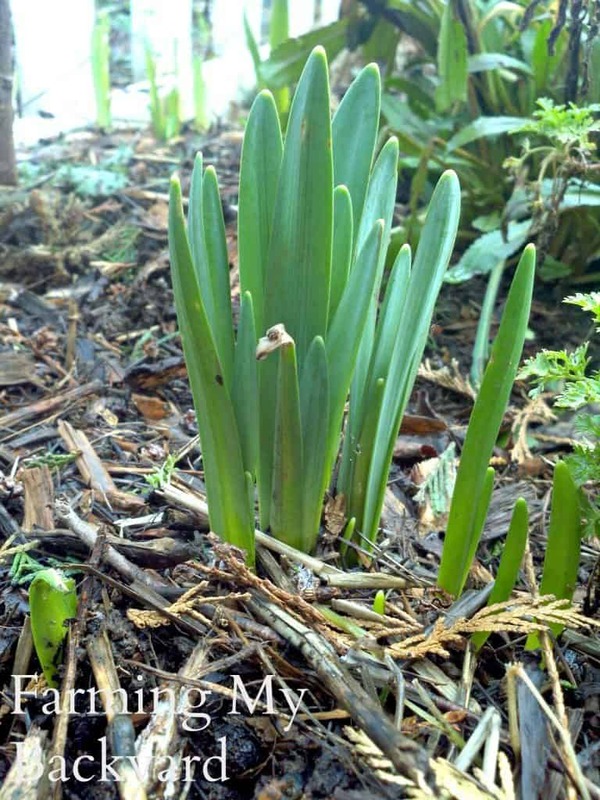 What a sweet surprise it was that first spring when daffodils start peeking their heads out of the mire! Irises are another good choice for perennial flowers. (I have irises that came from my grandmother’s yard in Utah, to my uncle’s home here in Oregon, and then he split some to share with me. My mother lives in California, and the next time she comes up she will be taking some of grandma’s irises back with her.) Irises have attractive green leaves most of the year and wonderful flowers in the summer. They also are shallow rooting and can keep weeds at bay. A few years back I had chucked an old wildflower mix into my garden bed without really expecting anything to grow. Some shasta daisies decided they were quite happy and have lived there happily ever since. I ignore them and they thrive and it’s a good relationship all around. More effortless beauty! Plus leaving the old flower stalks on the daisies over winter provides homes for the good spiders. There are some really lovely perennial herbs to choose from. One of my favorites is lavender, because I’m so proud of it. It was one of the first potted plants I ever grew and the only one that I didn’t kill. Even the mint didn’t survive my first gardening attempts on an apartment balcony! But mint is another great choice, as is sage, oregano, and thyme. 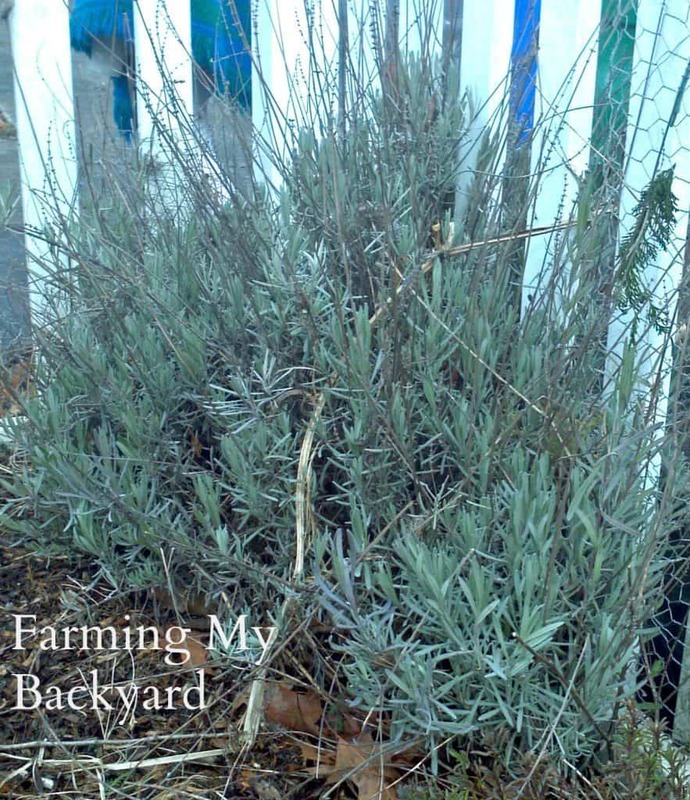 Other herbs are not perennial, but they can self seed themselves such as fennel, feverfew, and cilantro. Garlic is not technically an herb or a perennial, but it’s so easy! It’s perfect for the effortless garden. You stick the cloves in the ground in September and it takes care of itself. Just put some mulch over it to keep the weeds out and lift the bulbs out of the ground when the stalks die. If you plant the flowering kind you can even cut the flower buds and cook them like asparagus. Berries are great choice for perennials! Blueberries, grapes, raspberries, and blackberries will slowly unfurl their leaves as the days grow longer and the nights become warmer. They will fruit with just some help from the bees, and then die back again to repeat the process the next year. The only help from you they need is a little pruning and some direction on which directions to grow. I just love tenacious plants. 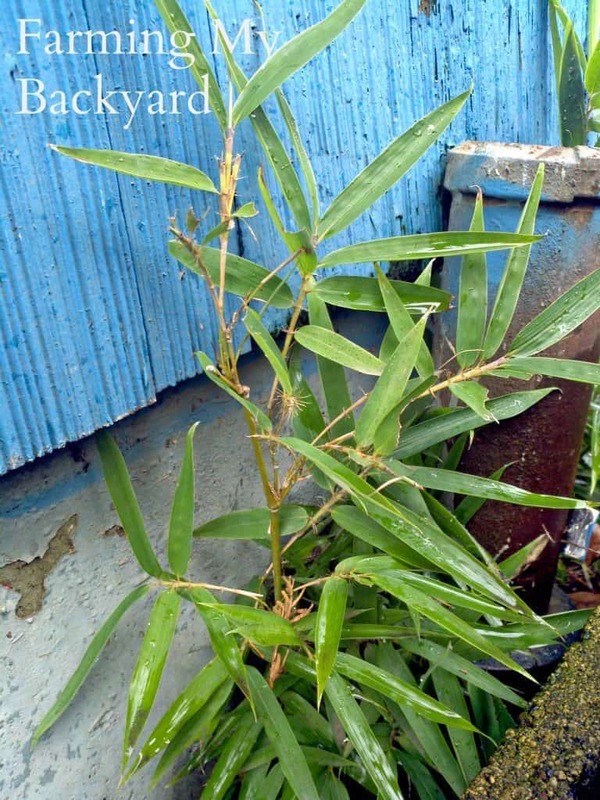 This volunteer bamboo came from our neighbor’s yard. It’s a clumping variety, but every year it just can resist sending out just one little runner to the moist area near my down spout. Our neighbor has a beautiful yard and she gave me some bamboo roots that I’m growing across the back of the chicken yard. Bamboo is as nutritionally beneficial as alfalfa, a perennial, good for the native birds, attractive, and goats, chickens, and rabbits love it. 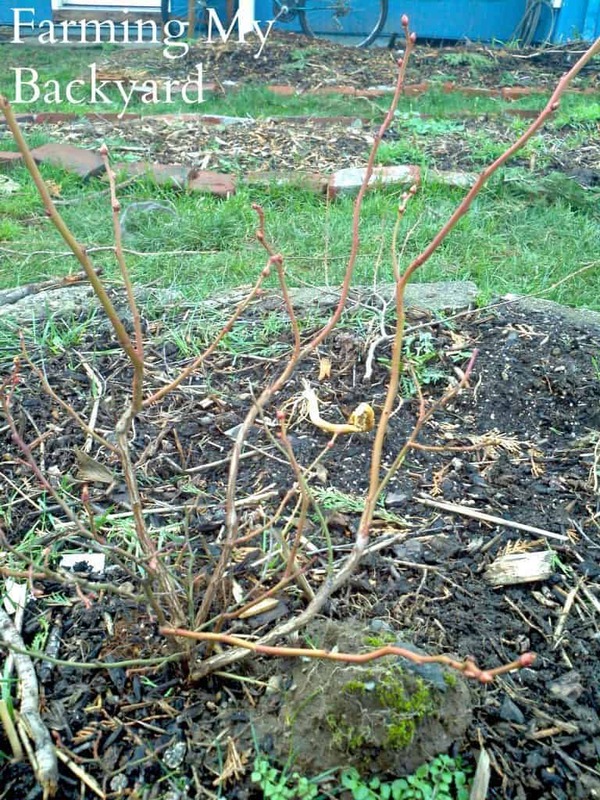 People can even eat the early spring shoots as well, not to mention using the canes for many projects. Another useful perennial is comfrey. Comfrey also has beautiful flowers, but it’s main benefit is that it is an excellent green manure. You can chop the leaves and use them as fertilizer for your garden. It’s also very tenacious and will come back year after year! What are your favorite perennials growing in your garden? Share in the comments! Your pics are making me garden sick (kinda like home sick)! We’re having a couple days of 40 F weather after so many weeks of bone chilling cold…but it will take a while for all this snow to melt. Sorry! Hopefully spring comes soon for you!